National Handloom Day just went by a week ago and today is Independence Day. 70 years into being a free country and we still have a lot to work towards including uplifting the lower strata of society. One of the things that personally affects me is seeing how consumerism is killing our local arts and crafts. The idea that our culture of weaving and agriculture are slowly dying is something that saddens me. I understand that it is easy to walk into a mall, buy a kurta at a discounted price and not even think about where it came from. But this does not mean that our traditional saris must be pushed aside. Over the years of being a fashion blogger, the way I view fashion has changed. 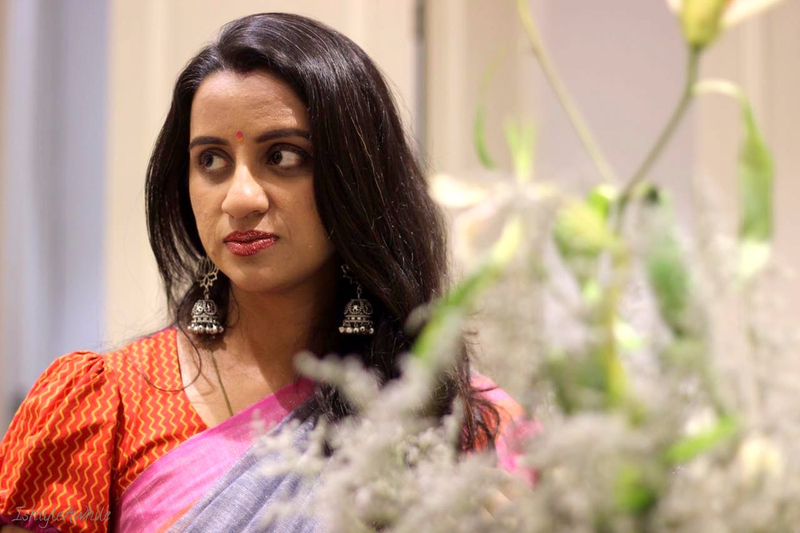 Lately I am into ethical fashion and handloom saris, and the plan is slowly incorporate more of these into my wardrobe. The latest sari I bought was from an exhibition in Chennai. 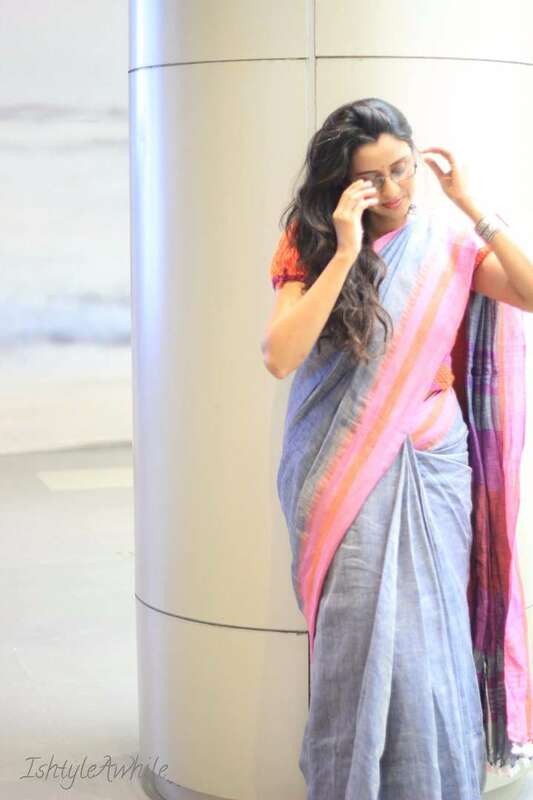 A simple linen sari with a thread count of 80. This is what the person at the counter told me when she sold me the sari, and this totally had me intrigued to know more about handloom linen saris. I realised that I barely knew about the handlooms or the naturally available textiles in India despite having been born and brought up here. So what better day to start a new series where you and me both can learn more about the weaves/ indigenous textiles of India. I figured I would not just style and show you the sari that I bought, but also tell you a little but more about this underrated fabric. So here are 5 facts that you may or may not have known about linen saris. 1) Linen is made from the stalk of the flax plant and it is considered to be one of the strongest natural fibres. 2) Linen is environmentally more friendly than cotton because it requires less water for cultivation. 3) Linen has a tendency to actively absorb moisture from the air and so it will be cool and damp. 4) Linen with get shinier and softer with each wash while retaining its body. 5) Linen is believed to be in India since the Vedic ages and was used by Royalty as a garment for ceremonies. 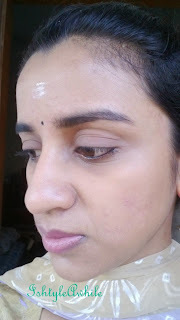 I kept the styling simple and wore my favourite statement earrings from Fida Jewellery, and an oxidised metal cuff. 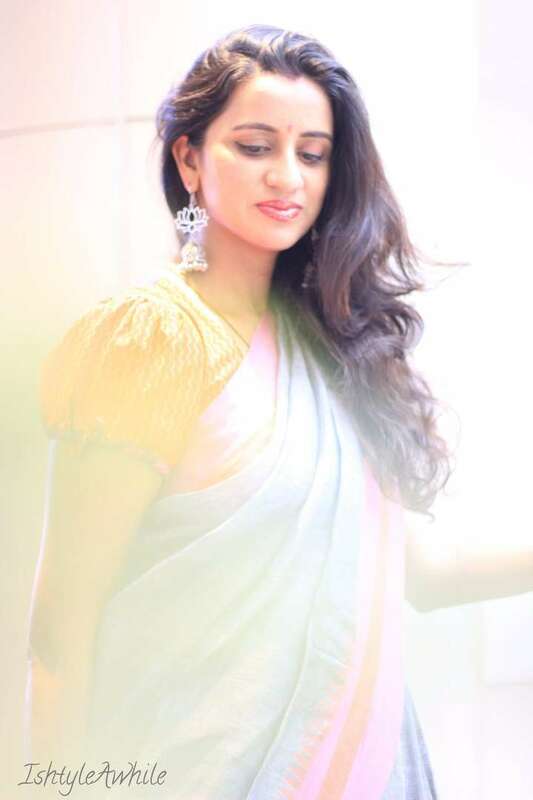 I am completely in love with this sari and inspired by this, I am on the lookout for more unique saris/ dresses which are made by the various handloom techniques in various parts of India. Each time I find one, you can be sure that I will be talking about it right here. So this is my pledge for our 70th Independence Day-to support local artisans are far as possible and to help keep our culture intact. This is patriotism to me. 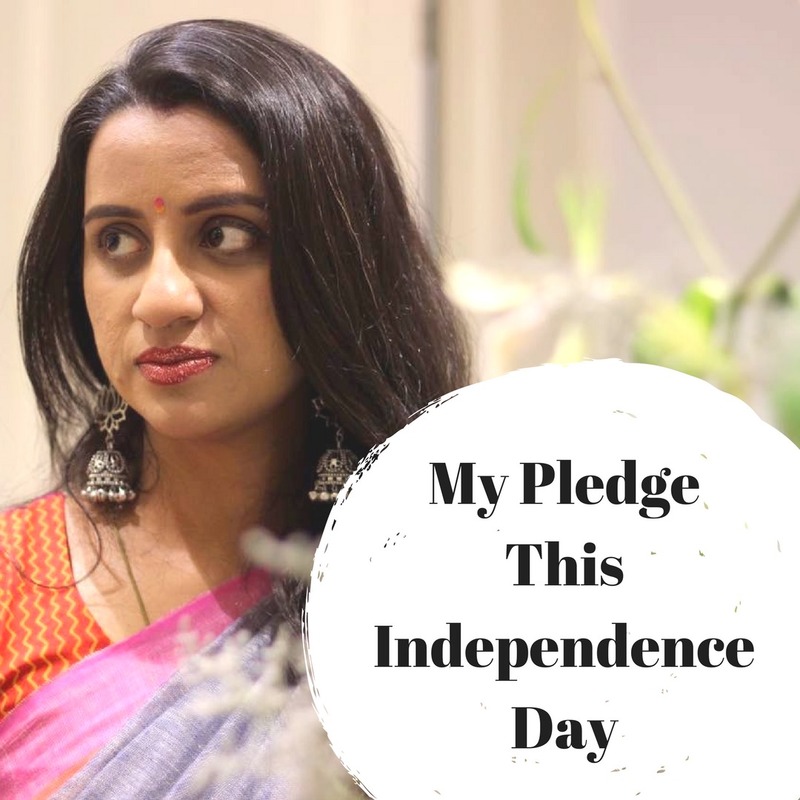 What's your pledge for Independence Day? 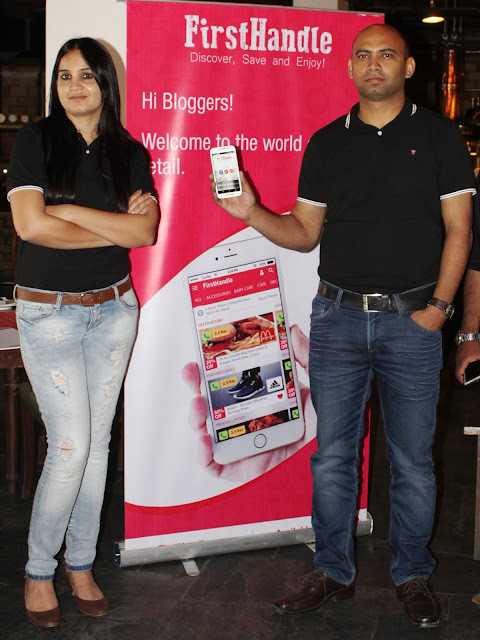 Make sure to stay tuned to IshtyleAwhile on Instagram, Facebook and subscribe to us via email for updates.